The updated list of endangered or threatened species found in the Mediterranean entered into force in September 2018. It now includes 10 additional bird species classified as endangered or threatened. This list is established under the Specially Protected Areas and Biological Diversity Protocol (SPA/BD Protocol) of the Barcelona Convention. 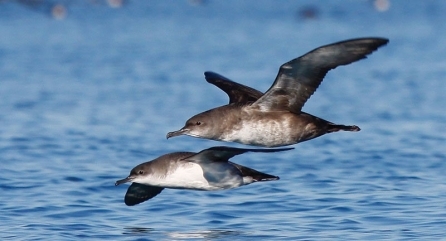 The Mediterranean Sea is considered an important habitat for seabirds, including particularly the Critically Endangered Balearic shearwater, the endemic Yelkouan shearwater and the little tern. The ornithological calendar of the Mediterranean is dominated by the seasonal migrations of birds from Europe to Africa in autumn and vice versa in spring. Many species breed in Europe over-winter in the Mediterranean basin. Several marine ones breed in the Mediterranean and migrate to the Atlantic Ocean after the breeding season. Nonetheless, the Mediterranean is the home of several hundred bird species, some of which occur exclusively in this climatic zone. Article 12 of the Protocol concerning Specially Protected Areas and Biological Diversity indicates that “The Parties shall ensure the maximum possible protection and recovery of the species of fauna and flora listed in the Annex relating to the list of endangered or threatened species”. Many of the seabird species face threats on land and at sea. On land this includes high pressure from coastal developments affecting availability of breeding and wintering habitats, and predation at colonies from native and invasive species. At sea the main threats include interaction with fisheries (bycatch), the lack of prey caused by depletion of fish stocks and from acute and chronic pollution (oil spills, chemical discharges, etc. ), marine litter, and disturbance from maritime traffic. In addition to seabirds, the list includes 14 different categories of species of fauna and flora, such as algae, mammals, reptiles, fishes, mollusks, etc. To consult the full list, click on this link. the species or its Mediterranean population figures on the IUCN red list as critically endangered, endangered or vulnerable. Habitat building species and those at the basis of important biological formations for the Mediterranean may be included on the list if important regressions of the said habitats or of the areas covered by the said formations have been observed, inferred or suspected over the last 10 years. A species endemic to a country, or a group of countries, may be included on the list at the proposal of the country, or of the group of countries in question. The inclusion on the list may be decided if it proves necessary to the adequate implementation of conservation measures advocated for a species already included in the list.